I've noticed all of the graduation markings on my lenses. I'll attach some photos of one of my prime and zoom lenses. 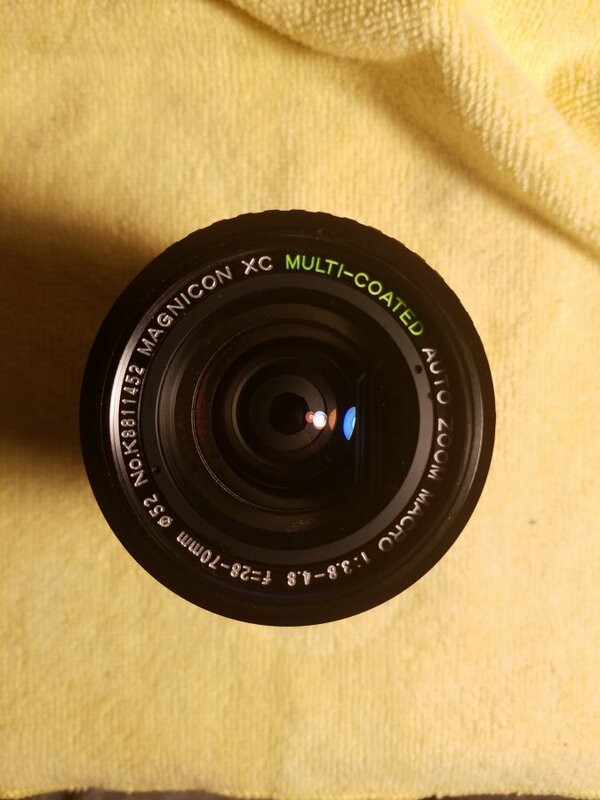 The prime lens has small markings underneath the focusing ring numbers. Is this for determining what range will be in focus at the different f-stop settings? For the zoom lens, there are these longer, curved lines going from top to bottom. 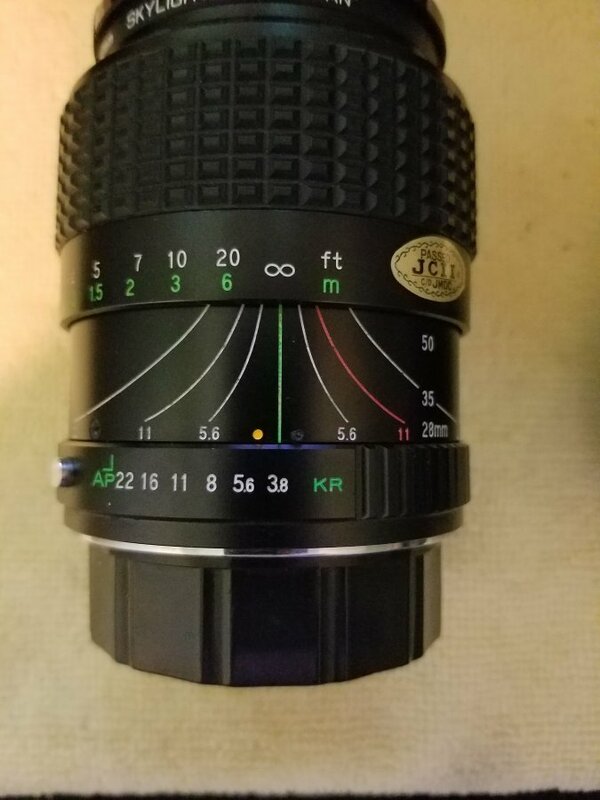 I'm assuming this would be a similar thing to the prime lens, but factors in the focal length as well? Anywho, how should I interpret and use these markings? Ah alright, thanks for the clarification! Oh ok, I'd assume that's because infrared light acts differently than the usual RGB does with the lenses. So what I'm talking about would be the hyper-focal distance scale, right? Correct, you are referring to the hyperfocal scale. For example: when shooting at f/11, you would align the corresponding line with the infinity mark. Something to keep in mind, the hyperfocal markings are for achieving "reasonable sharpness". Within that depth, there will still be some lack of sharpness in front and after the plane of focus, but overall the image will be fine for normal viewing. Something to keep in mind, the hyperfocal markings are for achieving "reasonable sharpness". Our beloved Ken Rockwell wrote on this here. And yes, you can still see lack of sharpness in hyperfocal range. Hyperfocal distance (H) specifically refers to the distance at which half the distance set (the hyperfocal distance) to infinity will be in focus, while for other distances the markings show depth of field. If interested it turns out the inverse of the set distance, and the near and far distances, are related by the average of their inverse's. E.g., if H=6 ft, then (1/3 + 1/infinity)/2 = 1/6. Just for curiosity: The zoom lens shown in the OP, is it one of the following? And as you go between lenses, remember the depth of that in focus area is shallower with longer lenses and deeper the wider the angle of the lens. On some wide angles, folks will pick an aperture stopped down a bit, set the lens to a point in that hyperfocal range, and then shoot away without refocusing for each shot. Especially handy for use with MF lenses in dimmer lighting conditions, and yet better with somewhat wide angle lenses, since they will ave a greater DOF range. It's the Magnicon Multi-coated Auto Zoom Macro f3.8-4.8 28-70mm. It's one of my favorite lenses. I'd be interested if you know any more info on it! Right, that's why I thought I'd ask about it! I saw someone setting their lens in that way to spend less time focusing and whatnot. I have to get a nice wide angle sometime. something sub-28mm. Any suggestions? 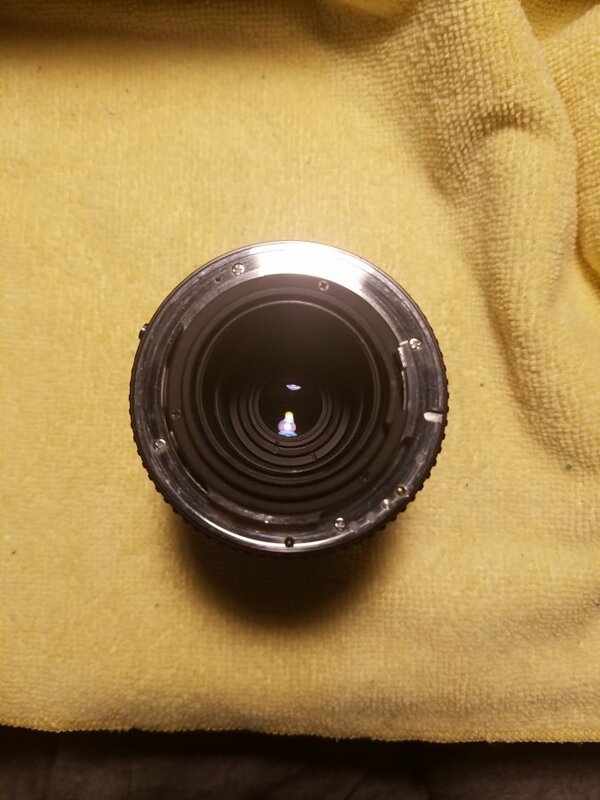 Thanks for satisfying my curiosity - and thanks for sharing evidence of a lens variant that is new to me. I would really appreciate if you could post a picture of the front of the lens and probably also the mount. Well, the 28-70 3.8-4.8 was sold in quite a variety of brands, but none of the ones I listed above was a lens maker. Most of these brands were linked to retail stores or local trade companies, e.g. "Paragon" was a brand used by the British Photax company, while "Magnicon" was a brand used by Blacks Photo in Canada. Presumably all the lenses of my list were made by Cima Kogaku, a small Japanese lens maker that produced for many sales brands, but also sold some lenses under their own brand "Cimko". 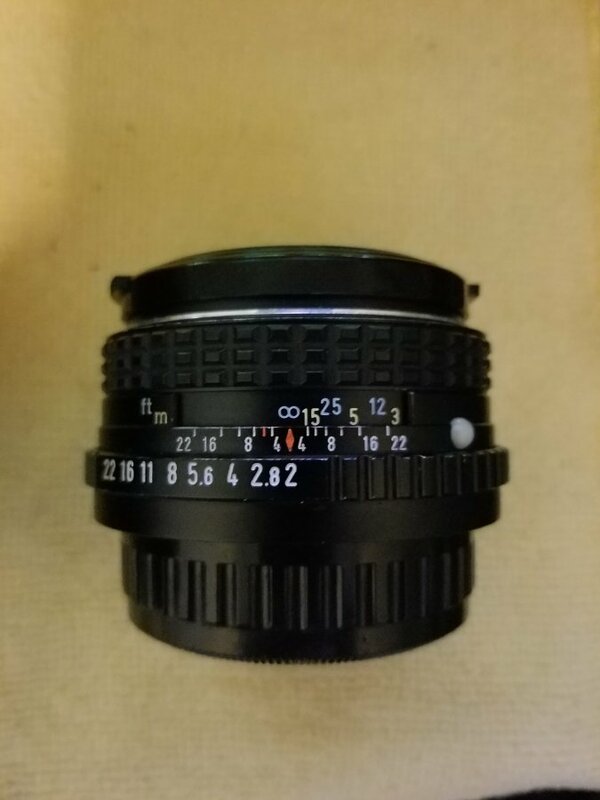 I haven't ever seen a Cimko branded 28-70 3.8-4.8 in K-mount, but currently someone is selling a "MC Cimko MT Series 1:3.8-4.8 28-70mm" in Canon FD mount on Ebay. Little can be found about Cima Kogaku on the Internet, however, they were somehow involed with former camera maker Topcon in their last days in the mid 1970ies and they seem to have disappeared some time in the late 1980ies or early 1990ies. No problem! Just tell me if you need any other photos. I have 2 other non-pentax lenses, an Albinar-ADG 75-300mm f5.6 and a Sears Model 202. 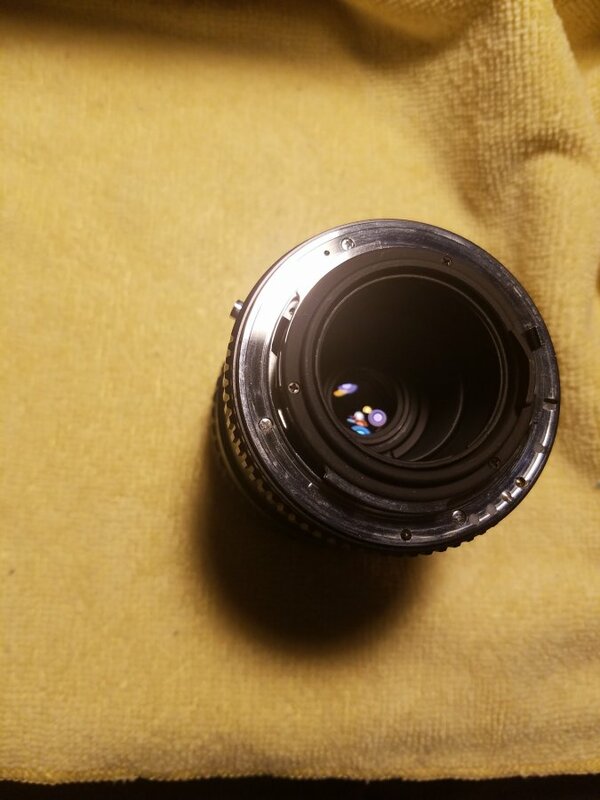 737020 80-200mm f4, if those are of any interest to you. Interesting info! These smaller scale lens makers have a bit of charm to them. 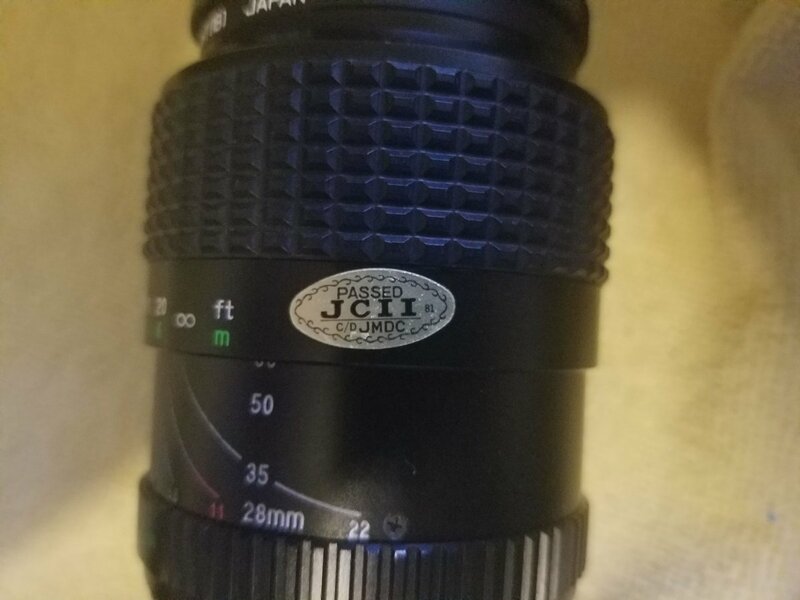 The Magnicon lens has one of those JCII stickers on it, dated 1981, if that means anything.